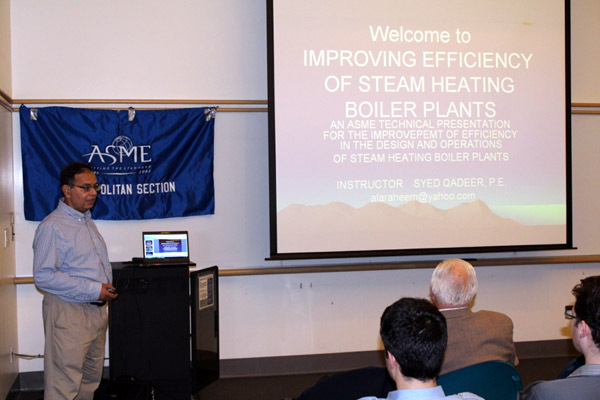 ASME’s Metropolitan Section was a co-sponsor of this conference, which was held at Con Edison Headquarters, 14th street and Irving Place in Manhattan, on Thursday, December 9th, 2010. One of the key organizers of this all-day meeting was Met Section Program’s Chairman, Edward Ecock, P.E., and a key engineer in Con Edison’s research and development department. At the conclusion of this conference, Mr. Ecock received a special award for his efforts in support of these annual meetings, which were originally developed by activists from The American Chemical Society and The American Institute of Chemical Engineers. Section 1 of this conference featured speakers from the Solar Energy Institute who first summarized the current energy usage situation where 37.4% of fuel consumption is in petroleum, 24.6% in natural gas and 20.9% in coal. Industry uses 28% of the available fuel, transportation consumes 27%, residences use 21% and other commercial enterprises consume 18%. The United States leads the world in fuel consumption, primarily in the number of operating vehicles per capita, and a concurrent increase in demand for fuels throughout the world. Our country imports 98% of the oil used for fuel and this results in a huge trade deficit totaling $900 million per year. The environmental problems with current fuel consumption are well known and include global warming, frequent oil spills, and increasing water scarcity resulting from the hydraulic fracturing techniques employed in shale oil processing. Geopolitical problems are also multiplying with restrictive OPEC production quotas, increasing energy demands in the developing world, and the evolution of secessionist groups in various nations. The solutions to these problems are also well known and include the development of advanced processes, equipment, and materials as well as expanded education programs directed at engineers, politicians, energy experts and the general public. Electric power generation methods that do not involve polluting gases include water resources, winds and tides, and the developing solar industry. Despite the volatility of these renewable energy sources due to climate variations, their future is most promising. Although fossil fuels are very competitive sources of energy, new market incentives and mechanisms are able to increase the use of renewable energy. Investment partnerships between the Federal Government, 15 State Governments and local utilities have succeeded in making solar energy generation more competitive. Also, several international venture capital funds have contributed to this investment. Recent advances in solar generation and efficiency include the development of photovoltaic cells and sun wave crystals, advanced pole cell installations, electronic interconnections with the latest two-way smart grids. Remediation of operations in harsh environments where temperatures may vary from -40 degrees Celsius to 85 degrees Celsius, where military complexities require efficient maintenance and storage facilities. Solar energy generation is very good at periods of peak demand and for recharging electric vehicles. Projections indicate that 200,000 homes will utilize solar power in the next 3 ½ years. Concurrently, California leads the nation in solar power installation but our nation lags behind Europe in the latest developments. The goal of the American Solar Industry is to generate 200 megawatts of energy in the future. Next, a speaker from the Energy Storage Association discussed the need for an additional 60 to 80 gigawatts in storage capacity in 20 years. The United States today has one-quarter of the world’s storage capacity with 22,000 megawatts primarily with hydro pumping. The average load in American operating electrical grids is 51% of peak load, and this statistic emphasizes the important role storage capacity has in our energy future. To meet future requirements, our country must expand its annual R. & D. appropriations, where energy now receives $5.0 billion while defense receives $77.5 billion, health and medicine receives $32.1 billion and NASA gets $11 billion. In the recent stimulus funding, the energy industry received $30 billion out of total $880 billion expenditure. By 2012 there are expected to be twelve manufacturers selling electric vehicles and by 2015 there will be three million plug-in cars on American roads. To meet this increase in energy needs, Japan is developing additional storage totaling 250 megawatts using sodium sulfide batteries with 15 year operating lives. In the United States there are similar demonstration projects, as well as wind farms and hydrogen storage, in California, Puerto Rico, Ohio, West Virginia, Indiana, New Mexico, Minnesota, and Texas totaling 75 megawatts. Also, storage installations for back-up power are under construction south of the border in Mexico. Wind farms are 50% more expensive than battery storage facilities. The efficiency of hydrogen generated storage varies from 70 to 90%, while battery storage is more uniform at 85% efficiency with only 2% reduction for maintenance needs. At this time, France leads the world in battery storage and our Federal Government favors this method for future development despite difficulties due to local community land use issues, switching problems and local controls. In 2009 the Federal Department of Energy requested a 540-megawatt increase in storage capacity to meet future needs. After an enjoyable mid-morning break, the conference resumed with a highly technical and detailed discussion of alternate methods of propulsion for vehicles. Two methods currently receive the most extensive R. & D. efforts – fuel cells and hydrogen. The simple fuel cell is well known to engineers, consisting of an anode and a cathode submerged in an ion-conducting electrolyte. Major development efforts, liberally funded by government and private investments, concentrate on increasing the efficiency of electrical generation from the non-polluting fuel cells, which may be classified into two types – low and high temperature units. Under the current state of development fuel cell cost is very high; they require special fuels and materials, and complex controls and grid connections are required. Research on electrolytes include various alkalines such as 85% KOH solutions at 200 degrees F., phosphoric acid H3PO4 100% at 150 degrees C., molten potassium carbonate at 600 degrees Celsius. In addition research into the use of polymers such as hydrogen sulfate H2SO4 at 1,000 degrees F., and even solid, stabilized zirconium operating at 650 to 1,000 degrees C., as well as sulfuric acid H2SO4 at varying concentrations with special additives, some of which are confidential and proprietary. Similarly, complex electrode design and development receives high priority. For example, multi-layer electrodes with alternate hydrophilic and hydrophobic layers continue to be developed, as well as porous gas diffusion types which are uniquely successful contributing to high 3-phase current generation. Various anode materials include platinum, porous nickel, alloys of nickel, yttrium sulfur, and zirconium, and other combinations of these metals including those into which external hydrogen is introduced for added efficiency. Cathode materials are also undergoing extensive development. Among the most advanced are porous platinum alloys, lithium-nickel-oxide alloys, and lanthanum-manganese oxides. Gas generation at cathodes made of these exotic materials can be quite extensive and contribute to some operational difficulties when diffusion is required. Fuel cells were originally developed for space and defense needs. The Apollo space vehicle first employed fuel cells in 1965 to generate oxygen and water supply and power for plasma gasification of waste. Subsequent space probes and shuttles employ advanced designs of these cells. Also in 1965 the U. S. Army developed a 5 Kw fuel cell to provide electrical energy supply under isolated battlefield conditions. Fuel cells are capable of powering commercial vehicles as many demonstration projects prove. However, there are limits on the vehicle range and durability and present research concentrates on improving these characteristics. At the recent Vancouver Olympics all buses were fuel cell powered, but achieved only 45% efficiency, no better than diesel powered vehicles. The stacking and interconnection of fuel cells has resulted in impressive power generation performance since 1997 in California where a San Diego unit generated 210 Kw and a Santa Clara installation produced 2Mw. Similar outputs have been produced in Germany. A 200Kw-stacked fuel cell operates continually in Central Park, New York. Fuel cell generated power is particularly effective when topping out energy production at wind and solar installations, when coupled to gas turbine units, and used for power back up in local community units at 2 to 4 Kw outputs. The next speaker spoke about the status of hydrogen-powered vehicles, which provide high operating efficiency with almost zero polluting emissions. Once again, the various government agencies have heavily invested in hydrogen power. For example, the U.S. Department of Defense has spent $4.7 billion developing 17,000 vehicles of various types. Twenty one states, including most prominently Minnesota since 1990, also have contributed substantially to these developments. Hydrogen generation is also employed in other research programs such as armament and missile systems, aerospace and supersonic propulsion systems, and prototype development of rocket-fueled aircraft and rockets. Also, substantial hydrogen generation is also required for carbon capture systems, coal gasification equipment, waste energy systems, and fuel reformation techniques. Hydrogen systems require high operating pressure with 2800 psia employed for daily use and research applications, and pressures as high as 8500 psia required for space flights. Hydrogen systems for vehicles have limited range and durability, high maintenance requirements, some safety concerns and high costs as well as storage difficulties. Despite these limitations, hydrogen as fuel offers unlimited supply availability with no resulting pollution, contrasted with the imported petroleum products, biomass fuels, gasified coal, ethanol and methanol, which all produce poisonous oxides of nitrogen and sulfur. Storage tanks for hydrogen must be designed for 5,000 psia minimum internal pressures, although some European applications are rated at 10,000 psia. Cryogenic cooling is used to store liquid hydrogen as well as metal hydride compounds and compressed natural gases additives. These materials require expensive operating controls and some tanks receive external safety wraps of advanced carbon composite materials. Hydrogen tanks are subjected to several safety tests including impacts, external fires, direct gunfire, vibrations, crush and drops, all of which combine to limit tank size. The U.S. Department of Energy has participated in hydrogen-powered vehicle development and has successfully promoted relatively small light vehicles that compete directly with diesel-electric buses, hybrid vehicles and all-electric units. Material-handling trucks employed in factories, warehouses, airports and shipping container marine applications have achieved consistent operating speed of 15 mph on grades up to 8%, all hydrogen powered. Also, golf cart-sized vehicles are in increasingly common commercial use. 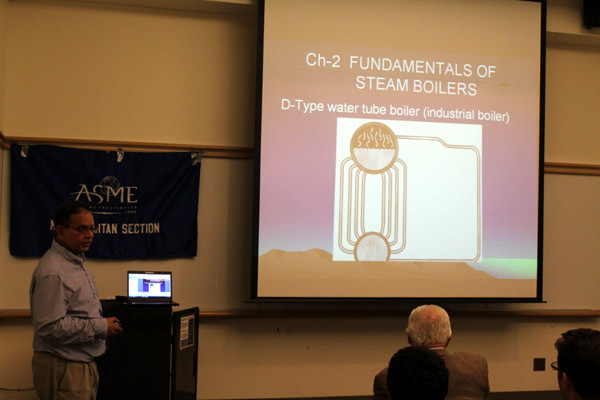 After a delicious luncheon break, the delegates reconvened to hear the conference keynote address, which emphasized the critical skills that engineers bring to solving the world’s energy crisis. Although political gridlock currently prevents long-range programs to alleviate global warming, engineers, scientists and politicians have to cooperate and creatively utilize the latest developments in telecommunications, avionics, digital electronics, and computers to solve the problems posed by the effects of expanding greenhouse gasses. Worldwide energy demand is growing exponentially and an 80% reduction in carbon-based fuel usage is necessary by 2050 when fossil fuel availability is expected to end. Solutions to these problems mandate that engineers use their talents for innovation, increase in operational efficiency, and emphasizing traditional economic principles in the design of electrical generation plants, all buildings (both new and existing) and transport facilities. More work must be done to develop alternate fuels and economies must be made in conventional fuel consumption. Power plants now produce 40% of the unsafe emissions, and permanent solution points toward increased use of nuclear power, currently providing 20% of our nation’s electricity. Recent increases in plant safety, development of gas-cooled reactors, and efficiency increases of up to 30% since 1990 should help overcome public concerns. Buildings also produce 40% of these objectionable emissions and just by improving insulation and sealing, these loses can be reduced by at least 30% by 2020. Just by reducing vehicle weights by using new materials, carbon emissions can be dramatically reduced. More consistent levels of research and development funding are required rather than the existing emergency cyclical funding now so prominent in expanding use of renewable sources such as wind, tides, photovoltaic solar cells, and biomass systems. In all these efforts, engineers must stress environmental and safety issues, as well as sustainability procedures, to achieve the carbon-free world that we all require. 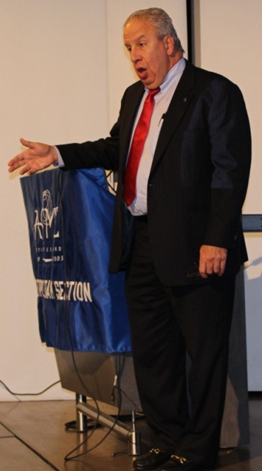 The next speaker, a scientist from the U.S. Geological Survey in Washington D.C., reported on the occurrence, supply, demand, and uses of the very critical platinum-group of metals which are so critical in producing such products as catalysts and electrodes for fuel cells, electronic equipment, ceramics, medicine, coatings, and glass-making. These relatively rare metals are also used an additives in both gasoline and diesel engines, and they are uniformly expensive. These metals evolved over millions of years of volcanic eruptions through the earth’s surface crust. The fiery-hot molten magma emerged in two basic metal forms: metal sulfites of nickel, cobalt, and copper; and metal chromite inclusions of platinum, palladium, rhodium, ruthenium, osmium, and lawrencium. The sulfite metals are relatively more common and are found in Canada, Russia, and the United States (Minnesota), whereas the chromites are very rare and found in South Africa, Russia, Zimbabwe, and the U.S., primarily in Montana. The chromite metals occur in 6 to 10 parts per million in ore and must be refined to at least 94.5% purity for industrial purposes. For example, worldwide platinum production in 7 million ounces per year, 85% of which originates in South Africa. Similarly, Russia leads the world in palladium production of one million ounces per year used primarily for catalysts and electronics. Rhodium production is maximum in South Africa and used in catalysts, jewelry and chemical and glass manufacturing. Ruthenium production totals 1.14 million ounces per year and is a vital component in catalytic converters used to limit pollution from vehicles. Another valuable metal chromite is Iridium, production of which is 119,000 ounces per year. Worldwide production of the chromite metals peaked in 2007 and has fallen due to the recession. Typical commodity prices per ounce of these materials are $2000 for platinum, $1000 for palladium, $9500 for rhodium – all more valuable than gold. Research to reduce these costs is concentrated on smelter efficiency increases and leaching ores with high concentrations and pressures of various corrosive acids. Because of the scarcity of these materials more than 50% of annual production results from recycled materials. Their scarcity and expense make protecting sources a vital American national security interest. After a refreshing mid-afternoon break, the conference heard representatives from private and corporate venture capital organizations, investment banks and state and federal governments discuss funding sources for the expanding energy industry. Investments from private sources total $1.8 billion per year concentrating on lithium-ion battery development for fuel cells, photovoltaic improvement in solar panels, semi-conductor developments in electronics, and thermo-electric heat exchangers to recover the 25 to 35% of vehicle and utility exhaust lost to the atmosphere. The need for lost-cost new developments is emphasized by the fact that currently the lithium-ion batteries add $15,000 to vehicle costs. Energy is not the only field receiving substantial investments. Other areas include housing and construction, health, medicine and nutrition, mobile communications and nano technology. 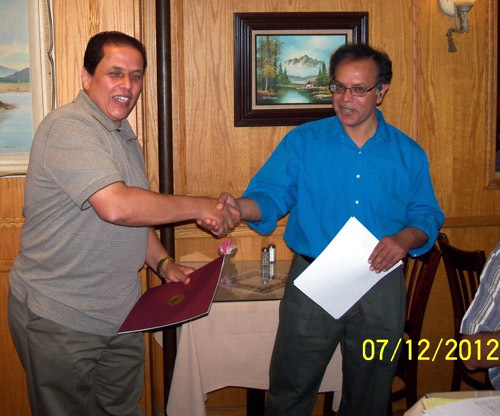 Each of the investors carefully described its procedures for analyzing grant proposals, awarding funds, and recouping returns on investments which vary from four to ten years. Investors tend to concentrate on domestic and Canadian opportunities because volatile foreign exchange rates limit returns, whereas state and national governments offer added incentives such as tax credits on investments, R. & D. programs, and real property assessments. The participants all agreed that more consistency is required in long range energy policy developments, particularly among the various states which can profit by adopting policies promoted by California and the Northeast. They also agreed that additional investment is required in alternate forms of energy, infrastructure improvements, efficiency enhancement, resource management, energy transmission lines, geo-thermal energy, renewable forms of energy, pipeline expansion, and hybrid vehicles. More specifically, more advancement of wind power investments where only 13 states finance programs, with Oregon, Texas, and Indiana leading in this regard. Developments should emphasize higher wind towers, increased rotor diameters, and more aerodynamically efficient blade design. Similar progress is also required in solar power, oil and natural gas facilities, shale oil technology and hydraulic energy storage. The solar industry, for example, needs more silicon solar cell manufacturing facilities and advance techniques for renewable solar panels. The guiding principles necessary for all these needs is a progressive increase in operating efficiencies at reasonable costs and only the scientific and engineering communities can be relied upon to provide these essential characteristics. 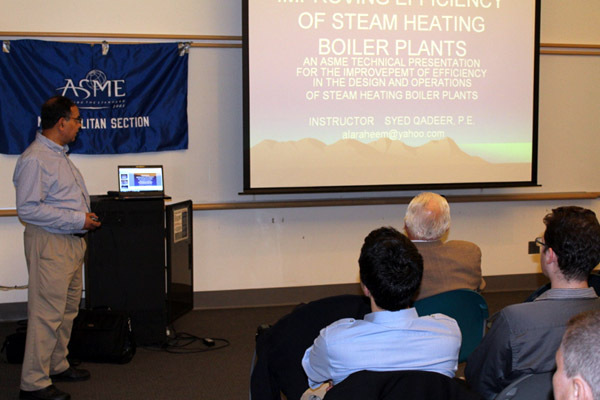 ASME’s Met Section is grateful for the opportunity to co-sponsor this conference and looks forward to more vigorously cooperating in the vital field of energy developments in the future. Great conference! Thanks to all for their contributions. From Moonwalks to Spaceplanes: A History of the Space Shuttle Program - 1 PDH! Grounding for Rail Signal Systems - CE Units! 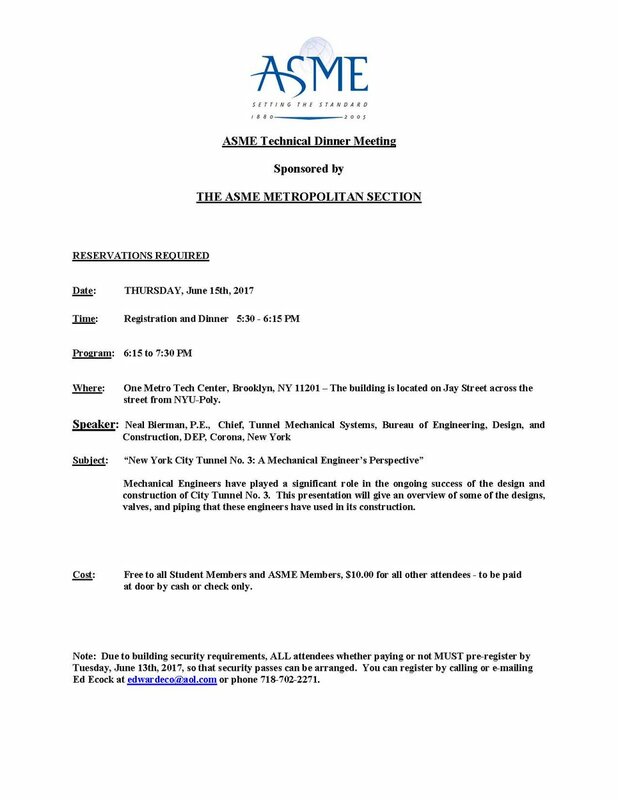 ASME Event July 15th, 2017 Join Us. See Flyer for more info! April 20th, 2017 Subject: “A Lost Era – Passenger Ships We Once Rode See Flyer for more info and registration. Remember The Six Million Dollar Man? Send us article(s) for the newsletter! Win next year's ASME dues! Send us an article for publication and you will be entered into the competition. 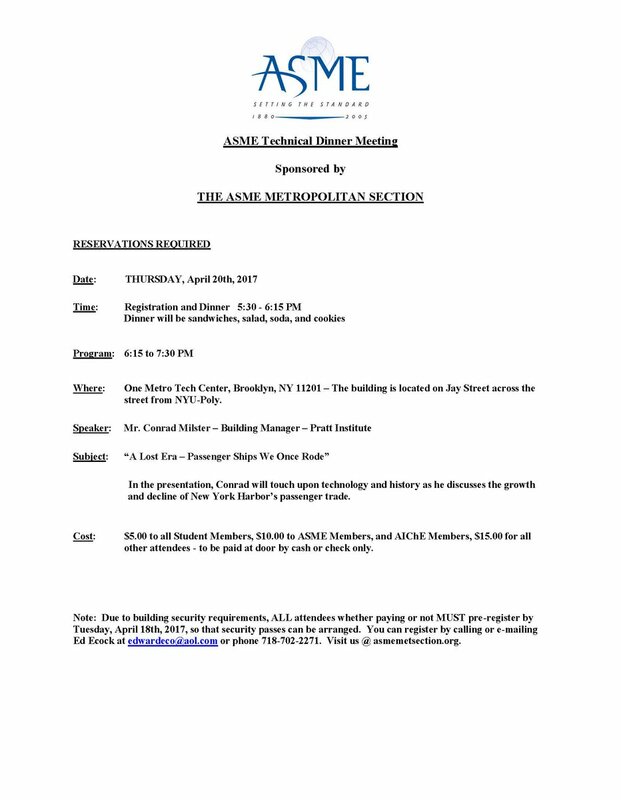 The MET Section will determine a winner at their June planning meeting. 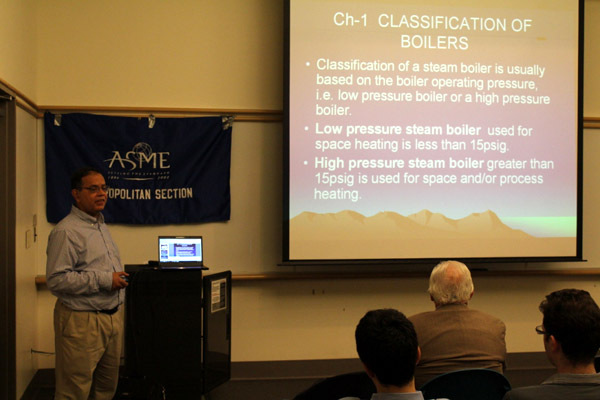 © 2013 - 2019 ASME Metropolitan Section. All rights reserved.